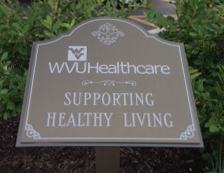 Main Street Morgantown is proud to announce that signage for the Morgantown Market Place WVU Healthcare Culinary Station has been designed and installed. This is the latest addition to the Morgantown Market Place, following the dedication of the WVU Healthcare Culinary Station in May. We are also excited to announce that American Farmland Trust recently ranked the Morgantown Farmers’ Market as number 11th most celebrated farmers market in the nation. MSM would like to thank all those who have donated to the Morgantown Market Place and would like to provide a special thank you to WVU Healthcare for their wonderful contribution toward making the Morgantown Market Place Culinary Station a reality. 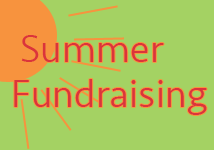 This summer, Main Street Morgantown (MSM) has applied for funding through the Growing Healthy Communities Grant Program and the Neighborhood Investment Program (NIP). MSM is pleased to announce that the 27th Annual MedExpress Kids Day was a success! Though the morning started out rainy, MedExpress Kids Day continued with its usual influx of kids into Downtown. With over 100 nonprofits, businesses, and other organizations involved, the 1,000+ kids that participated in Kids Day were able to decorate cookies, play in a giant sandbox, interact with roving characters, learn about healthy living, enjoy an interactive butterfly tent, munch on some tasty kids specials, let out their creative side with arts & crafts, and much more in Downtown Morgantown.